At the Brussels International Motor Show in January Volvo presented an entirely new vehicle - a sports car. The P1800 was shown to an interested audience for the first time "in the flesh". 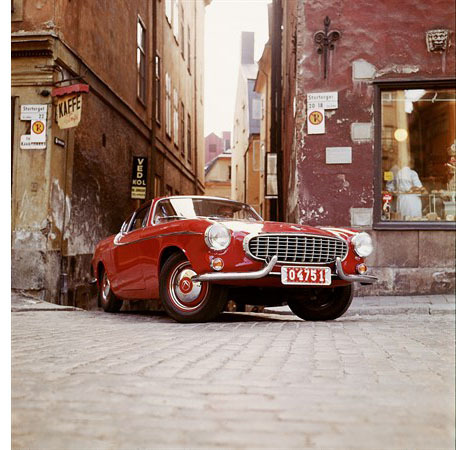 Volvo had released a press photograph of the newcomer the year before. This 2-seater sports coupe had a completely new engine, the B18B. 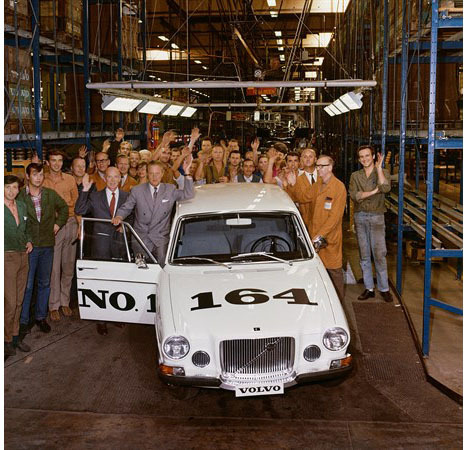 During the first few years the car was assembled in England, as Volvo did not have the space needed to build another model in the cramped plant on Hisingen. The PV544 and Amazon were both fitted with new gearboxes, the seats had a new construction and the seat backs were contoured to give rear seat passengers more room for their knees. The Volvia insurance company was established; VolVolvovo owners were able to take out a continuation insurance policy with Volvia as their PV warranties expired. The Volvo Duett was improved by the addition of a curved windscreen in one piece, a four-speed gearbox and a new dashboard. Safety belts became a standard feature. At the same time the name Duett was phased out and the model became known as the P210. Annual production figures topped the 80,000 mark. In May the P1800 went into production. The PV544 and the Amazon were equipped with the powerful B18 engine with twin carburettors, which gave the PV544 Sport an output of 90 hp. They also had a 12-volt electrical system and asymmetrical lights. New colours for the autumn were soft brown, pale green, red, slate blue and light grey. In October the Amazon 121 was released. This was a two-door car which was only sold in Sweden, Norway and Denmark to begin with. The Amazon range was extended to include a four-door estate. The rear of the car had been re-designed and featured a horizontally-split door, with an upper and a lower section. This estate was equipped with the B18A engine and a four-speed gearbox. The price was 14,475 Swedish kronor. In February a total of 100,000 Amazons had been produced. There was very little real product news this year. 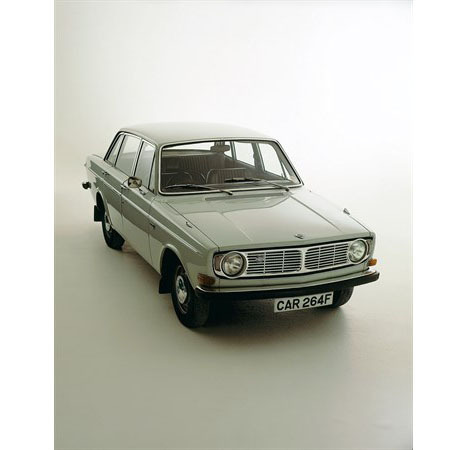 The Amazon was given low-profile tyres and the P1800 was fitted with a powerful engine developing 108 hp. The call for local assembly and component production grew and in June Volvo's first foreign assembly plant was opened in Halifax in Canada. Cars were sent to Halifax in kits. A couple of thousand cars were assembled there every year. The US was the largest export market by far. Volvo was fourth on the list of imported cars in the US. The Volvo Group's turnover exceeded 2,000 million Swedish kronor. The group had more than 20,000 employees. On April 24th the new Torslanda Plant was opened. Its estimated capacity was 110, 000 cars per year in conjunction with part-time work, 150,000 in conjunction with partial two-shift operation and 200,000 in conjunction with full two-shift operation. The potential for expansion was finally available! Production of the Amazon began immediately in the new plant. A number of new features were presented for the 1965 model year. These included disc brakes at the front on all Amazon models and brake servo on estates. A new radiator grille, punched rims and chrome-plated hubcaps made of galvanized steel were some of the new exterior features. Volvo presented a new type of front seat which had been developed in collaboration with medical experts, who maintained that sitting in the right position had an important effect on traffic safety. The seats therefore had a new design. The Amazon became the best-selling car in Sweden. Both the Amazon and the 1800S were presented as needing absolutely no lubrication. In August, the year's new features on the PV544 were presented, but it had already been decided that the production of the 544 would cease. On October 20th the last car left the production line at the Lundby Plant, by which time a total of 440,000 cars had been produced; 280,000 of them had remained in Sweden and 160,000 had been exported. With the passing of the 544 Volvo presented a new model of the Amazon, the Favorit. The difference between this model and the standard two-door version was not particularly striking, however. Another assembly plant was opened in Ghent in Belgium. 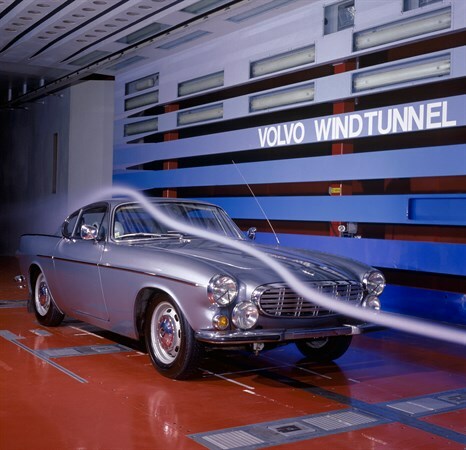 This enabled Volvo to work inside the EC's customs barriers. The Ghent plant produced some 14,000 cars. In August the new car model which had been keeping Volvo's design engineers occupied for so long was presented. 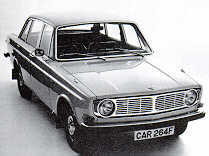 It had been previously known under its working name of the 1400, but it was now called the Volvo 144. In terms of safety this car was extremely advanced. It had disc brakes all round, a split steering column and a new lock on the three-point safety belts. The body had energy-absorbing crumple zones at the front and rear. Even the door locks had a safety design. The 144 also meant the introduction of a triangle-split dual-circuit brake system. The car had two brake circuits and, if one of them failed, 80% of braking effect was still available. The 144 came with two different engine outputs, the B18A developing 85 hp with a horizontal carburettor and the B18B developing 115 hp with twin carburettors. The version with the more powerful engine was called the 144S. The 140 Series also signalled the introduction of a new numbering system for Volvo's cars. The first figure in the designation was the model, the second showed how many cylinders the engine had and the third showed the number of doors. 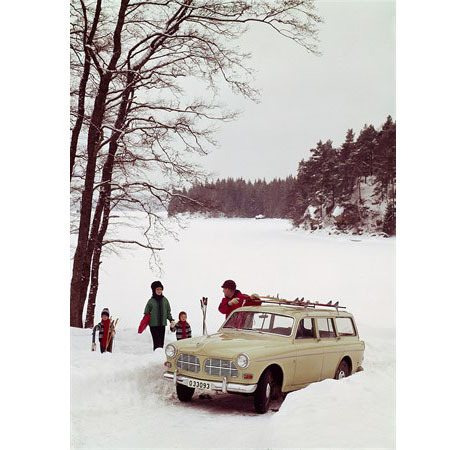 The Volvo 144 was given an excellent reception by the mass media and customers alike. The 144 was chosen as Car of the Year in Sweden. A new sports-oriented Amazon, the 123GT, was introduced. The engine was the same as the one in the 1800S and the gearbox was a four-speed with overdrive. 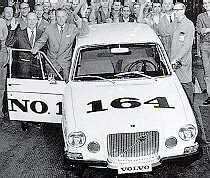 The Volvo 144 was also a success abroad, and Volvo celebrated its 40th anniversary with all flags flying. In the US the 144 complied with the new safety regulations before they had even been made public. A standard 144 in the US cost 2,995 dollars. In June a two-door version, the 142S, made its appearance. It was somewhat lighter (and cheaper) than the four-door. The Volvo 145 Estate was introduced later that year. Technically speaking, this car was virtually identical to the other models. The tailgate was made in one piece and opened outwards with the hinges located in the roof. 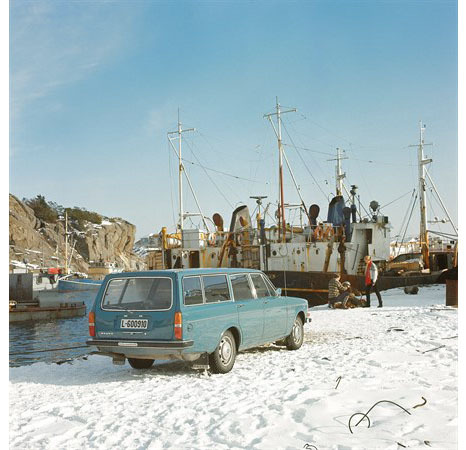 Volvo now had three estates in its range - the P210 Duett, the Amazon/120 Estate and the Volvo 145. The Amazon was now equipped with the split steering column and a new safety steering wheel which collapsed in the event of a collision. All versions now had brake servo. From the autumn all twin-carburettor cars destined for the US had a system for exhaust emission control. The production of the four-door version of the Amazon was phased out at the end of the year - the Volvo 144 was a most worthy successor. The Volvo 164, a prestige version with exclusive upholstery and power steering, was presented. The engine had six cylinders and an output of 145 hp. The interior was more luxurious than that of the 140 Series. The front had been extended to accommodate the large engine. This car had a top speed of 175 kph. The basic version of the 164 cost 25,500 Swedish kronor. A vehicle which had been specially developed for use as a taxi, the Volvo 144 Taxi, was presented. This car was available in black or white and had an automatic gearbox. The interior had been specially designed for taxi operations. In August the B20 engine was introduced in the Amazon and the 140 Series. This engine was a development of the B18 and had a higher output and improved torque. The B20B had the same exhaust emission control system as the one Volvo had introduced on US engines the year before. The Amazon was equipped with the same type of dual-circuit brake system as the 140 Series. The 123GT model was no longer available on the Swedish market. The 140 Series set new sales records. In Sweden it was the best-selling car. In Great Britain, Volvo's sales rose by 70% during the year. An assembly plant with the capacity for 2,500 cars was opened in Malaysia. In February the last Duett was produced. This car had become a virtual legend during the years Volvo had produced it as an estate and van. 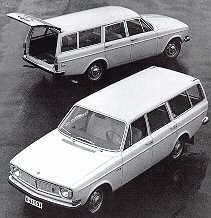 The Volvo 145 Express, an estate with a raised roof, was introduced by way of a successor. At the same time the estate in the Amazon series was phased out. In the autumn a number of minor improvements to the new 140 Series models were presented. They included head restraints on the front seats, safety belts for three passengers in the rear seat and an electrically-heated rear window. The new features on the Amazon were limited. The only Amazon still in production was a two-door version with two engine alternatives. Volvo started to plan a new proving ground at Hallered outside Gothenburg. The site was 6 million sq.m in size and the proving ground was due to be completed in 1972. Volvo purchased Svenska Stalpressnings AB in Olofstrom, a company which had been producing bodies for Volvo since 1927.